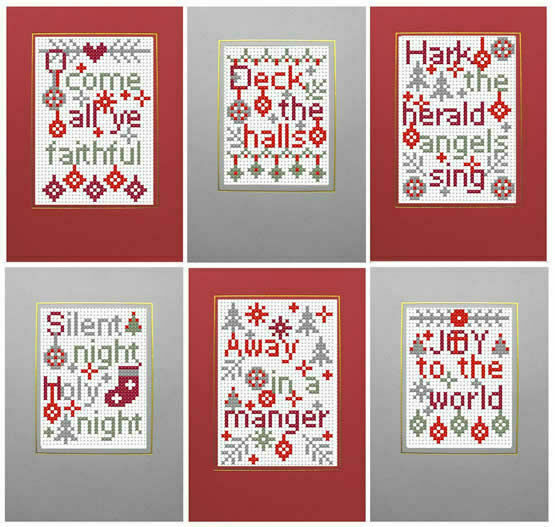 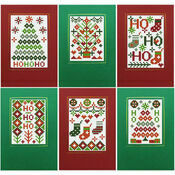 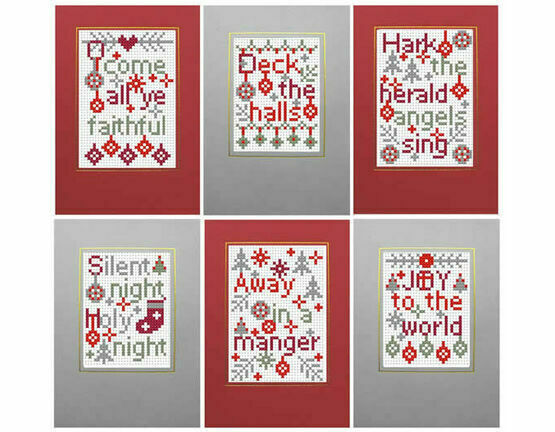 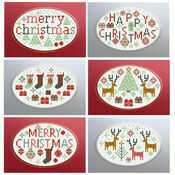 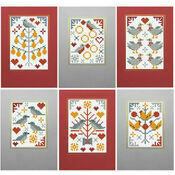 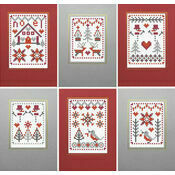 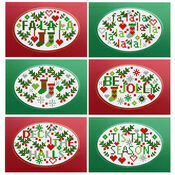 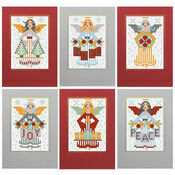 You'll be well prepared for the Christmas period with this set of 6 Christmas Carols cross stitch card kits. 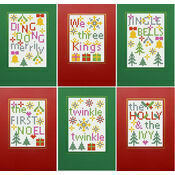 Each card features a different line from a traditional Christmas carol and is surrounded by lots of little Christmas details. 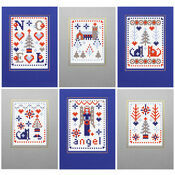 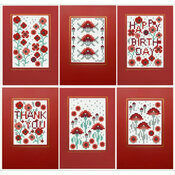 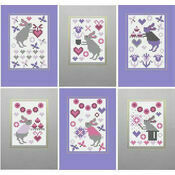 The kits come with the cards and envelopes so they are ready to send off to your loved ones once completed.